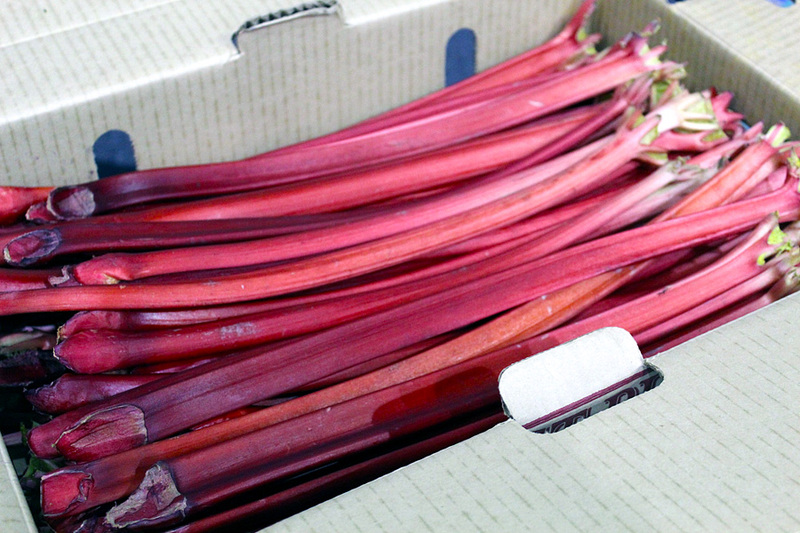 A box of fresh rhubarb from Leslie & Son. Samantha Reidie’s new recipe from “across the pond” in The Telegraph caught our notice, and got our mouths watering. Has anyone else ever tried rhubarb hummus? It sounds good, and there’s no barrier in the ingredients as long as you estimate that “a large can of chickpeas” is roughly the same in the USA as in England.